Christine Howard is a partner in the Tampa and Atlanta offices. She also serves as a Co-Chair of the firm's Women's Initiative and Leadership Council. Christine focuses her practice on the defense of employment discrimination and harassment complaints and wage and hour and benefits litigation. She has successfully handled many dispositive motions, hearings and trials on behalf of employers. Over the last decade, she has defended numerous collective action cases filed on behalf of classes of employees alleging violations of the Fair Labor Standards Act (FLSA), successfully defeating attempts at class certification in practically every instance. Christine also defends class actions under the Fair Credit Reporting Act (FCRA), helping employers navigate these claims to successful resolutions and dismissals. In addition to litigating matters on behalf of employers, Christine conducts workplace investigations, compliance audits, and management training. She also counsels employers on the preventive measures they may take to avoid or reduce employment-related claims, including on issues arising under Title VII of the Civil Rights Act of 1964, the Family and Medical Leave Act (FMLA), the Age Discrimination in Employment Act (ADEA), and the Americans with Disabilities Act (ADA). Christine is "AV" Peer Review Rated by Martindale-Hubbell. 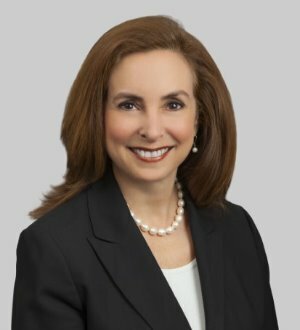 She has been recognized in Florida Super Lawyers since 2014 and The Best Lawyers in America in 2017. She was also recognized in Georgia Super Lawyers each year from 2004 through 2008. Christine was credited as an author on an E-Discovery Chapter in Workplace Data: Law and Litigation. The book provides an overview of legal issues associated with employment-related electronically stored information, focusing on discovery issues in particular.